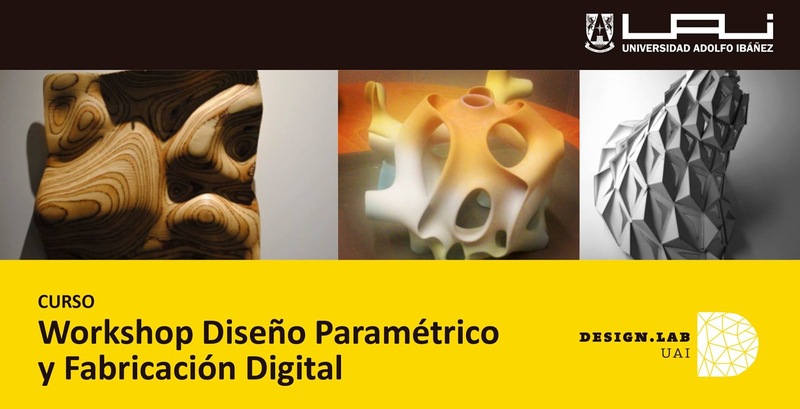 Design Lab, Escuela de Diseño UAI, an authorized RhinoFabStudio, invites you to their Workshop in Parametric Design and Digital Fabrication. This class objectively provides tools for the design process, using concepts and contemporary technology for students to specialize in a study area. Participants will be able to build design strategies linked to a theoretical framework recorded from diagrams and associative models. They will reach a sufficient level to use generative software to develop an individual project. The course also introduces emerging technologies in the field of digital manufacturing like Rhino and Grasshopper. Students will be able to balance between general concepts associated with these developing technologies and proper management methodologies and operational techniques to understand costs, benefits, and comparative advantages. For more information and to register, please contact Mario Vergara.